Our major goal is to gather all the communities from the region and abroad so we can socialize, hack, play, learn, exchange knowledge and experience and of course, party together. 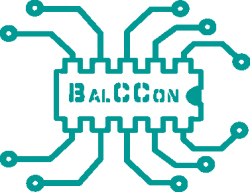 BalCCon is community organized and non commercial event - from Hackers to Hackers. We are aiming to become the center of the hacker community in the region as well as to provide an opportunity for all the people in this part of Europe to connect and to cooperate. Program and speakers will be taken through a Call for Papers few months before the congress. We have planned some special guests whose reputation is well known in the community. All applications sent by people will be stored and graded by congress orga people. BalCCon is an international conference, therefore your submissions should be in English. It is expected that we will have participants from all over the World, so it is important to have a common language.